and generally act like kinetic art. This is fun to watch, and the crowd goes wild! research in the biological and physical sciences that is written by middle and high school students. 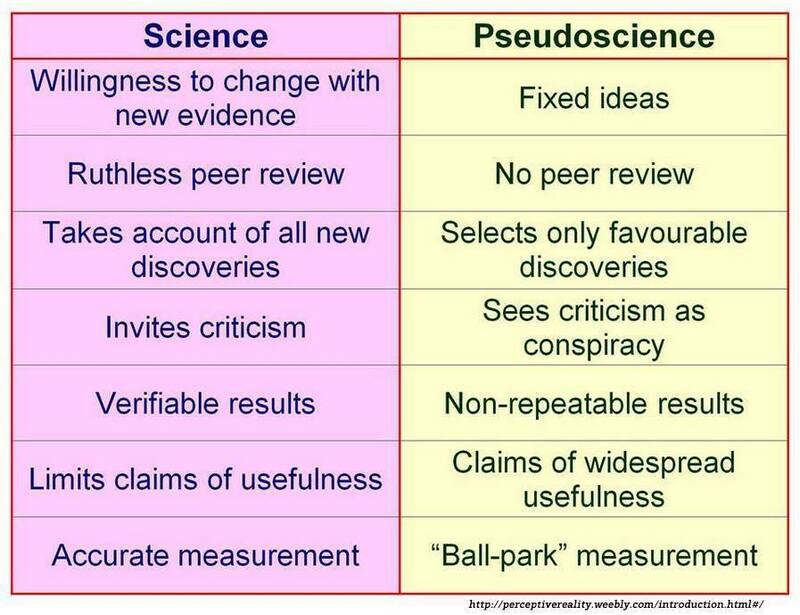 This graphic teaches the difference between science and pseudoscience. It's important to understand the difference. A Matter of Degrees "Create your own temperature scale, then see how it compares to those of Fahrenheit and Celsius." A Sense of Scale lets you use a sliding scale to move between the coldest and hottest temperatures in the universe. Present temperature is shown in Fahrenheit, Celsius, and Kelvin units. Interesting things about each stop are also displayed. the scale with everyday objects for examples, but goes into where this 1 to 14 scale comes from. There is no reason why you can't go lower than 1 or higher than 14 in theory. Also, always add acid to water, never add water to acid. may vary over time. Could all the ice really melt? It has, at times in the far past. Draw your own conclusions. or the secondary school science teacher. We liked the +2 + (-2) = 0 example - when they meet they annihilate each other! 2. an unconfined aquifer is a water supply that has an impermeable layer below it, but not above it. 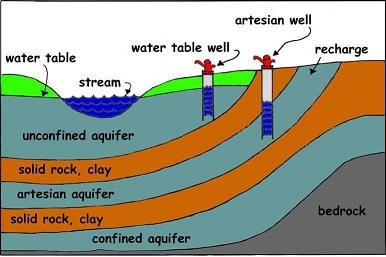 in a well drilled into an artesian aquifer; usually wells need a pump to bring water to the surface from an aquifer. where they are exposed on the surface of the earth. Water can re-enter the aquifer in these recharge areas. produces a host of visual spectacles - rainbows, halos, glories, coronas and many more. "Absolutely amazing. Torque, and Proportional Reasoning with an easy to understand interactive applet using a teeter-totter. Kids think they're playing a game! The teacher's guide (pdf) contains tips created by the PhET team." It's good, like a recipe for doing this lesson. GSFK recommends you download it. PhET has LOTS of these simulations, indexed by grade level and by subject area. A Billion Degrees of Separation "We take the temperature of the universe from absolute cold to 'absolute hot'." with coldest at the top. Subdivided into Elements, Living Things, Man-Made, Earth, Solar System, and Universe. the temperature of lava, the surface of Mercury at night, or the surface temperature of Sirius; they are all on this chart. A BBC project via ScienceAlert. 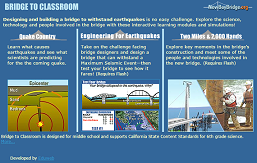 Bridge to Classroom "Designing and building a bridge to withstand earthquakes is no easy challenge. and simulations!" This has its own page on GSFK! Chem4Kids! 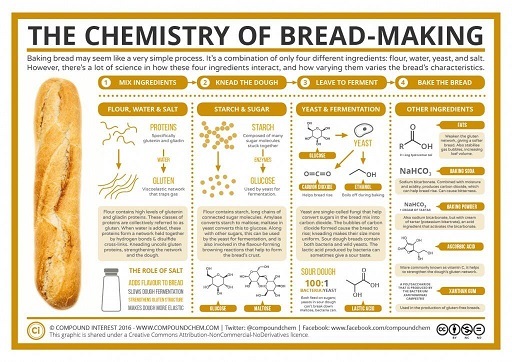 is a good solid introduction to chemistry for elementary and up. Keeps kids' interest and full of facts. Chembalancer and Element Quiz from FunBased Learning. "Welcome to Chembalancer and Element Quiz! These are little games that teach you about facts about elements and how to balance equations." Three decent drills on balacing equations plus a facts intro to element symbols, with auto re-testing when needed. These were fun and easy to play. Chemical and Physical Change Lab This is an animated 12 question quiz to test student knowledge of the properties of chemical change vs. physical change. It's always the same 12 questions but they are reshuffled between quizzes. Helps kids to grasp the difference and reinforce that knowledge. The Chemistry of Matches (In Super Slow Motion) Two minutes of slo-mo coolness. This was posted on Facebook by Compound Interest. Discussses match evolution, the chemical compounds used, how matches work, and the action in slow motion. The link goes to the video, on YouTube. The link to the excellent accompanying graphic is here. It's downloadable, too. Chemistry for Grades 11-12 from Curriki. "This course contains resources, including slideshows, reviews, labs, worksheets, activities, quizzes, and diagnostics, for high school chemistry students. Units include Lab Setup and Safety; Nomenclature; Chemical Reactions and Balancing; Metric Systems & Conversions; Periodic Table and Trends; Atomic Structure; Nuclear Chemistry; Acids, Bases, & Salts; Bonding; Percent Composition; Solutions, Molarity, and Concentrations; Stoichiometry; Energy; Gas Laws; Reaction Rates and Equilibrium; Electron Configuration; and Redox Reactions." Starts with a diagnostic test (.doc file) to measure prior knowledge. The whole course is right there - no downloads, no pdf files, just click on the folder. Chemistry from Curriki. This is a high school-level chem course from South Africa, for grades 10 - 12. Comes in PDF files organized in five folders. Covers most chem topics, as well as earth science, chemical industry, and gold mining (hey, it's South Africa.) Click the page's Information tab to learn more. Part of reviewer Comments: "This FHSST (Free High School Science Texts) Chemistry textbook contains a full course of material in the form of a 23-chapter textbook to be used in grades 10 through 12. The text can be freely modified and distributed, so long as no one attempts to limit its later distribution. The collection covers three main topics (Matter and Materials, Chemical Change, Chemical Systems) and then within those topics, they are broken down into G10, G11, and G12 chapters. The material is also available in folders organized by grade level. Each chapter is available for download as a .pdf document. Throughout each clear and comprehensive chapter are embedded activities, worked examples and exercises for exploration and assessment." Not aligned to US state standards but still very good. 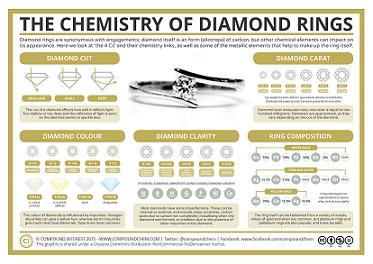 Chemistry of Diamond Rings Click on this thumbnail to see the full infographic on Compound Interest. 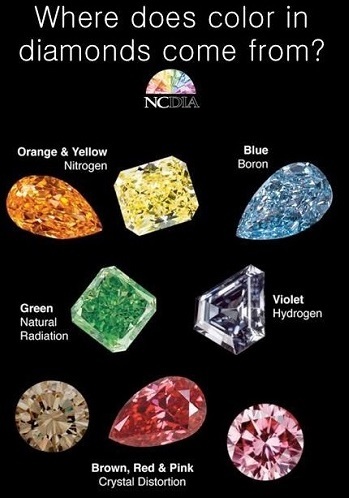 You will find out about the diamonds and the metal that (usually) keeps them in the ring. Chemistry Vocabulary from high school chemistry teacher Mister Guch. A big page of high school chemistry vocabulary words with definitions. "If you're a college student or grad student looking for a vocabulary list with more involved terms on it, click HERE to see my Even Bigger Vocabulary List." Continents: A Student's Resource This great Australian page was suggested to us by a lady in Utah! Isn't the Internet great? Lists all continents, links to facts about all of them, list of all past supercontinents and their times, continental drift & tectonics, populations, other facts. also has history of continents, supercontinents of the future, much more. Links to a ton of information, all on one page! Thanks go to Liz Curtis, who suggested this link & said nice things about our Social Studies section. Cool Zone for Kids from Utility Services of Alaska has a great site about water! The Story of Drinking Water, water FAQs, games, Water Cycle printables, how water is treated to make it potable, more. Climate Science from the Atmospheric Radiation Measurement Program. "...the goal of the Education and Outreach Program is to develop basic science awareness and increase critical thinking skills focusing on environmental science and climate change for K-12 students." All kinds of science-based kid activities are here. Cyberchase "an online destination designed to captivate, entertain, and improve problem-solving and math skills is now bigger and better than ever!" The Games section has over 40 good applied math games. The Science section has activities plus an outstanding, ongoing series of Cyberchase Quest games. Cyberkidz "is an educational platform for boys and girls in the age of 4 till 12 years. By playing the educational games, children will practise subjects they learn in elementary school (PK-5)." 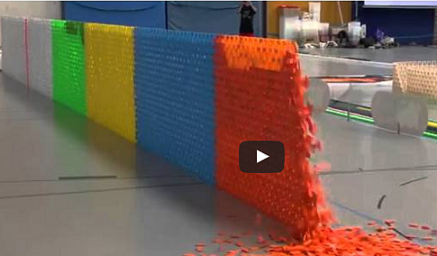 The games are sorted by year from age 4 to 12, using a sliding bar. There are dozens of fun, playable games in every curriculum category, with new ones being added. This is an excellent site from the Netherlands. of liquids in layers, plus PhET's Density Simulation. A typical PhET offering. You can download them, too. Requires Java. Dive and Discover This is student oceanography at its finest! Kids can check out a dozen ocean expeditions with plenty to find out at each one. The Deeper Discovery section has facts on everything from deep ocean currents to ice ages to plate tectonics. To top it off they have a good section for teachers with suggested lessons and more! Brought to you by the world-famous Woods Hole Oceanographic Institution. This Dynamic Earth: The Story of Plate Tectonics - an online book explains this subject. There are side links to explain topics for you, and plenty of amazing graphics, maps, pdf files, and a cool sub-site, Plate tectonics animations, with all sorts of animated graphics! Linked Websites: Please visit the Smithsonian Institution This Dynamic Planet website. This site provides interactive mapping functions (including zoom), contains additional information not shown on the printed paper map, and includes downloadable PDF files of all map components and HTML pages. See also This Dynamic Planet, the map showing the Earth's physiographic features, current plate movements, and locations of volcanoes, earthquakes, and impact craters. 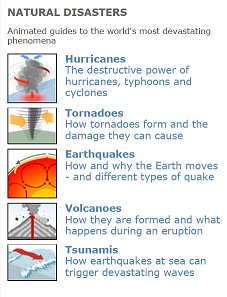 The USGS also has created a website for teachers: This Dynamic Planet: A Teaching Companion. Earth 100 Million Years From Now 3:19 video "Earth's landmasses were not always what they are today. Continents formed as Earth's crustal plates shifted and collided over long periods of time. This video shows how today's continents are thought to have evolved over the last 600 million years, and where they'll end up in the next 100 million years. Paleogeographic Views of Earth's History provided by Ron Blakey, Professor of Geology, Northern Arizona University." The San Andreas Fault is more accessible than any other fault in the world. San Andreas Fault is the sliding boundary between the Pacific Plate and the North American Plate. It slices California in two from Cape Mendocino to the Mexican border. San Diego, Los Angeles and Big Sur are on the Pacific Plate. San Francisco, Sacramento and the Sierra Nevada are on the North American Plate. 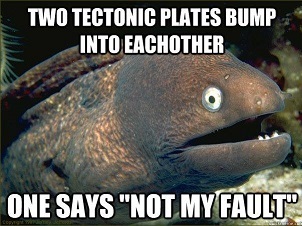 What type of fault is it? 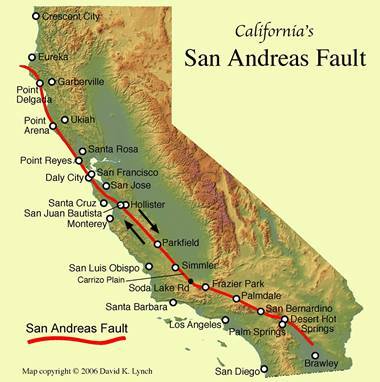 The San Andreas Fault is a transform fault. where they touch along a common straight edge. - about the same rate that your fingernails grow. The breaking rock sends out waves in all directions, and it is the waves that we feel as earthquakes. Earth Science for Schools from Moorland School, Lancs., UK, has eight categories: Earth Origin, Structure, Plate Tectonics, Volcanoes & Earthquakes, Rock Cycle, Atmosphere, Fossil Fuels, and Polymers. The last two are middle school/high school level chemistry. These are all great and have lots of links (some of them don't work, though). A whole page on oil refineries with plenty of pictures. 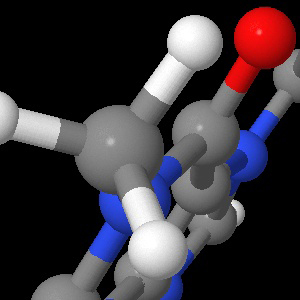 Plenty of animations, simple explantions, world-class high school level explantions of hydrocarbons, alkanes, alkenes, and polymers. 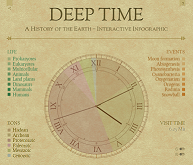 Deep Time is a well done HTML5 interactive infographic in the form of a pie chart/clock face. The aim is to give learners a visual grasp of just how very old the Earth is. "The Earth is old, very very old. It is difficult for us humans to fully comprehend just how old our planet actually is. This infographic offers a visual way to explore the various stages of the Earth's history using a 12 hour clock analogy." Examine the progression and changes over time of Life, Eons, and Events. The Features section has recommended settings for various devices, more about the clock, and short explanations for the three sections. Also, hovering over the various links that flank the clock face shows small graphics for each link, located according to their time on the 12 hour clock. Life is shown as a green line around the clock face. The older the life form, the longer the line. Eons are the different colored sections of the pie chart/clock face. Events are small symbols ranging around the clock face, positioned by time of the event. This works for individual use, or in a computer lab/classroom, or on an overhead screen. Earthquakes from the US Geological Survey. Track the latest earthquakes here, plus information about quakes and links to other sites. Earthquakes for Kids from the U.S. Geological Survey (the USGS). Consists of 12 kid-friendly sections: Latest Quakes, Links & Activities, Puzzles & Games, Today in Earthquake History, Science Fair Project Ideas, Animations, How to become an earthquake scientists, Facts, Pictures, Ask a Geologist, the science of earthquakes, and a glossary. Energy Kids featuring Energy Ant: learn all about where we get our energy and how we use it. Loaded with facts, games, and activities. The Glossary explains every energy term you ever heard of. September Equinox from timeanddate.com. Great graphic, lots of information, links to sections about anything time and date related. Exploring the Science of Light "This Web site is devoted to everything optics! You will find activities combining Jell-O and laser pointers, definitions of terms like acousto-optics and retroreflection, profiles of optics celebs who are changing our world and an optics timeline stretching from prehistory to the present. Don't forget to check out the tutorials featuring interactive applets and the sweet optical illusions!" Four at Once: Volcano Quartet Erupts on Kamchatka "A unique show is taking place on Kamchatka these days: Four separate but nearby volcanoes are erupting simultaneously on the Russian peninsula. A Moscow film crew has produced an awe-inspiring 360-degree video of the natural fireworks." The link goes to the Speigel Online International start page. From there you can go to the slide show and the stunning 360 degree steerable video (Use your mouse to move the view around.)! View more photos and read the background story HERE. View 10 360° panoramas from the same page! Fulgurites The strange looking sand formation below is called a fulgurite. 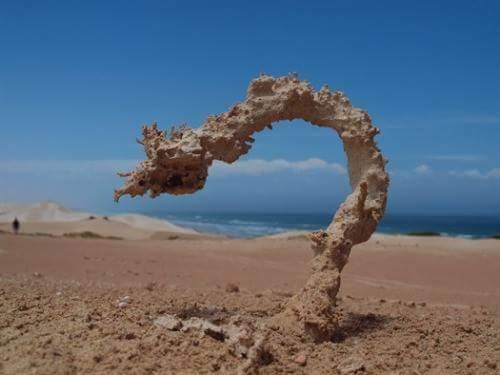 Also known as petrified lightning, fulgurites are formed when lightning instantaneously melts the mineral grains in sand and fuses the grains together. The result is a hollow glassy tube with a root-like appearance.The estimated temperature required to create a fulgurite varies, but it is believed to be between 1500 °C to 4000 °C. Their size can range from just a few centimeters to several meters long. The longest fulgurite on record is 4.9 meters. General Chemistry Online! 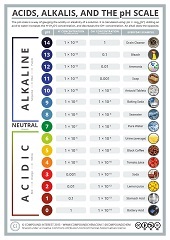 A whole bunch of cool chem things, designed to help you survive Chem 101. Common compound library has stats on 800 different compounds! Notes, tutorials, glossary, Flash library, toolbox, construction set, FAQs, simulations, and a Chemistry Exam Survival Guide! For high school and college chemistry, from Dr. Fred Senese, Professor of Chemistry at Frostburg State University, Maryland. Geography4Kids! Yet another from the 4Kids! people. More Earth Science and Physical Geography than social science, that's why it's in the Science and Nature section. Geography For Kids from KidsKnowIt. Nine sections explain elementary physical geography. This is an physical geography site, not a political geography site. pushing the planet into a new epoch which scientists call the Anthropocene. Source: Climate Change And The Astrobiology Of The Anthropocene at NPR by Adam Frank. Click on this graphic to see it at its HUGE size! Then find the Jackalope! 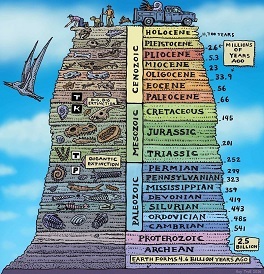 Geologic Illustrations Here are some valuable resources for Earth Science, Geology, and Physical Geography, from the US National Park Service, Department of the Interior. "The illustrations on this page can be downloaded and used for classroom instruction or as supplementary educational material. Many of the graphics illustrate basic geological concepts while others are specific to a certain park or region." The Geologic Processes area of the site is more than just a list of links and definitions; other areas cover Plate Tectonics, Volcanoes, Glacial effects, and Caves & Karst. All are great. There also maps and posters for classrooms. Enjoy it all! 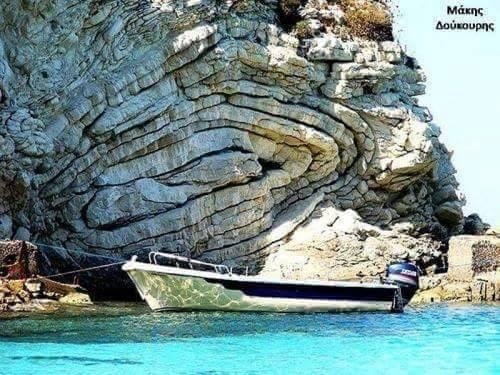 Geology.com A site devoted to everything geological. The World Maps section alone is too cool for words. The US state map section has different kinds of maps for every state. Satellite maps of everything. A large geology dictionary. Superlative site! Geology from Windows to the Universe. "Why do volcanoes erupt? How are rocks made? Why do rivers wiggle back and forth? What sorts of animals roamed the Earth long ago? These questions and many more can be answered if we know a little about GEOLOGY! That's the study of the Earth." Also covers plate tectonics. Has Beginner, Intermediate and Advanced levels so it's three sites in one. In Advanced, you get to find out what "ultramafic" means. Lots of information, well presented. Geology For Kids from KidsKnowIt. Elementary geology in five well laid out chapters, with games. Grand Canyon from the Stratosphere! A Space Balloon Story "In June 2013, a group of friends launched a weather balloon a few miles from Tuba City, Arizona. The amazing footage was found two years later by an Arizona hiker. Enjoy the video of our launch preparations, video footage, and some data analysis of the flight." Here is the 4 minute YouTube video. Grand Canyon Street View from Google. Explore the Grand Canyon, Colorado River, Phantom Ranch, and Meteor Crater! This wonderful grouping is FREE and you can look at these landmarks from anywhere! There's even music if you want it. Graphing Sea-Level TrendsGraphing Sea-Level Trends a lesson plan from NASA/JPL and CIT. For grades 5 - 12. Gravity from the NSTMF Lab "How do celestial bodies warp the fabric of space-time and interact with each other?" Explore. Make your own objects in 2-D space! See how the big, massy ones attract smaller ones. More mass = more attraction. Click the Create Your Universe button. Read the Observations when they pop up to learn more about gravity. Gravity Wells This large, well done PNG image explains the idea of gravity wells in easy to understand cartoon form. It's from xkcd, a well know ubergeek site with cartoons of interest to, well, MIT/Caltech undergrads, shall we say. let your kids go to xkcd. Hang Son Doong from Ryan Deboodt (6:19 video) "Take an otherworldly journey through Hang Son Doong, the world's largest cave, by both ground and air. Filmed near the entrance and the first and second dolines (skylights) which are 2.5 and 3.5 km inside the cave respectively." "The Son Doong Cave in Vietnam is the biggest cave in the world. It's over 5.5 miles long, has a jungle and river, and could fit a 40-story skyscraper within its walls." The Son Doong Cave.org official site has huge amounts of photos and other graphics, and lots of data. As if that weren't enough, there's a Pinterest page. How Do Airplanes Fly? Here are some sites that help explain how airplanes fly. How Do Airplanes Fly? is from ConneCT Kids, the state of Connecticut's kid site. It covers The Four Forces (thrust, drag, lift, weight), and how propeller and jet engines generate thrust. Flight from Science Kids at Home explains how wings lift an airplane up, using pictures and simple explanation. Fun Flight Facts for Kids is part of the Science Facts section of the huge Science Kids site, from New Zealand. It discusses animals that fly, as well as aircraft, airships, and blimps. It simply explains Bernoulli's Principle, too. This one has lesson plans, too. How do Airplanes Fly? is a 1:33 video from WydeaWonders that uses graphics and narration to explain how wings lift aircraft. How Inge Lehmann used earthquakes to discover the Earth’s inner core Very good article from Vox. Plenty of graphics help explain how she did it. This isn't the only good Inge Lehmann article out there, but it had the best combination of biography, brevity, science, and understandable graphics. How Low Can You Go? Use the "cascade" method to compress gasses to absolute zero! Keep trying. How One Brilliant Woman Mapped the Secrets of the Ocean Floor "This 4:39 video tells the story of a female geologist, Marie Tharp, whose groundbreaking work in mapmaking helped bring the theory of continental drift into the mainstream. Her ideas (which a male colleague initially dismissed as “girl talk,” 2:34) have helped shape what we know about Earth and its geologic history." She noticed her topographical maps of the ocean floor matched up with a colleague's earthquake charts. This was the "smoking gun". It took until 1970 for scientists to admit she was right and continental drift was real! Interactive Science Simulations from PhET/U of Colorado, Boulder! There are dozens of these great interactive simulations to download, embed, or play online! You can even contribute your own! Click on any one of these and a menu pops up with more info, including the option to sort by grade levels. Science teachers, you must see this site! This graphic* will let you explore the world from 35,000 feet/10,668 m ABOVE sea level to 35,000 feet BELOW sea level! From the top of Mt. Everest to the bottom of the Mariana Trench (10,916m or 35,814' below sea level). Plenty of pictures and facts on the way down, too. This could be a prime source for science quizzes. (* Well, not THIS graphic but the big one you'd see if you clicked on this one. Introductory Physics I from Curriki. Uses flash videos for the lesson and pdf files for questions. "Welcome to the NROC Introductory Physics course. This course is divided into two semesters and is designed to acquaint you with topics in classical and modern physics. The first semester discusses topics in Newtonian mechanics including: kinematics, laws of motion, work and energy, systems of particles, momentum, circular motion, oscillations, and gravitation. The first semester concludes with topics in fluid mechanics, thermal physics, and kinetic theory. The second semester discusses the topics of electricity and magnetism, waves and optics, and atomic and nuclear physics. The course emphasizes problem solving, and there are numerous interactive examples throughout. You will also gain laboratory experience through interactive lab simulations and wet labs." Jacksmith You are Jacksmith, a traveling smith in a fantasy era. You specialize in crafting and forging weapons to fight monsters. Your clients are men-at-arms and angry peasants with axes, swords, shields, pikes, bow, staffs, and cannon balls. Add different pieces to make custom arrows. pikes. swords, etc. 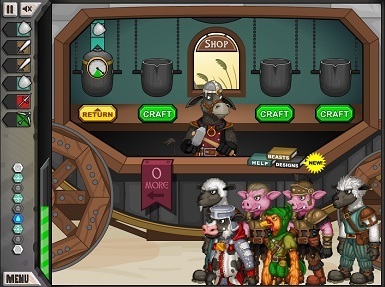 Your Jacksmith grows in knowledge of the smithing arts, both the business side and the forging side. Students gain knowledge of practical business math, inventory, planning, metallurgy, and situational awareness. Games can be saved, too. It is cross-platform, running on Windows, Mac OS X, and Linux/Unix systems, and available in several languages. The JmolApplet is a web browser applet that can be integrated into web pages. The Jmol application is a standalone Java application that runs on the desktop. The JmolViewer is a development tool kit that can be integrated into other Java applications. A handbook has been published for learning Jmol, and there are also other publications about Jmol. There is also a list of tutorials designed to learn the use of Jmol, and more help, within Jmol Wiki. Finally, there is a documentation section in this web site, for more technical details. Lightning Who else but WGBH would have a great nine minute video about lightning, with links and teacher help, too? Living Colour from The Australian Museum Online. This is a good explanation of colors and how we see them, with interactive activities online for kids. Little Discoverers: Big fun with science, math, and more! Sesame Street's STEM for early learners. This is a combination of games and videos for all six of the covered concepts: Experiments, Sink or Float, Measurement, States of Matter, Force and Motion, and Engineering. The concept buttons are arranged 3X2 on the sides of the video player. Each concept has 6 - 8 games and videos along the bottom of the screen, for kids to check out. Nicely arranged and does a good job of covering the very basic introductions to these concepts and ideas. This ever evolving video resource is free! Lucky us! Make Me Genius "India's Most Visited Place for School Science Videos" (In English) Right now they have 55 excellent, easy to understand elementary-age videos covering human biology, animals, earth science, electricity, rainbows, volcanos, weather, plants, health, teeth, states of matter, and more! Also free PowerPoints and Cool Facts trivia on many of these topics. Other parts of this site are available for a small subscription. It's a work in progress so more videos, etc will be added in the future. This is a student-made site, mostly. Thanks to the students at MMG for the email about their site! Marie Curie and the Science of Radioactivity This online exhibit is brought to you by The Center for History of Physics, A Division of The American Institute of Physics. Everything you wanted to know about Maria "Manya" Sklodowska, Polish patriot and underground college student; and about Madam Professor Doctor Marie Sklowdowska Curie, PhD: Pioneering research scientist. Inventor of a mobile X-ray lab in a truck for the French Army during World War 1, she then organized a fleet of these for battlefield surgeons. Discovered the elements polonium and radium. 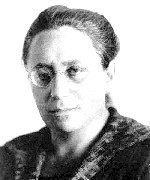 Wife, mother, and winner of two Nobel Prizes (and still a Polish patriot, made harder because there was no Poland then). There is a short version, for those who have a report to crank out (friendly life tip: don't put off doing your assignments). There's a long version that covers everything and has links to other science bios. Both are very readable, and will leave you in awe of this lady. More links about her: Nobelprize.org discusses her her discoveries in radioactivity and chemistry and has her Nobel lectures. Some trivia: In 1935 Marie's daughter, Irène Joliot-Curie, was awarded the Nobel Prize for Chemistry, together with her husband Frédéric Joliot, for the discovery of artificial radioactivity. 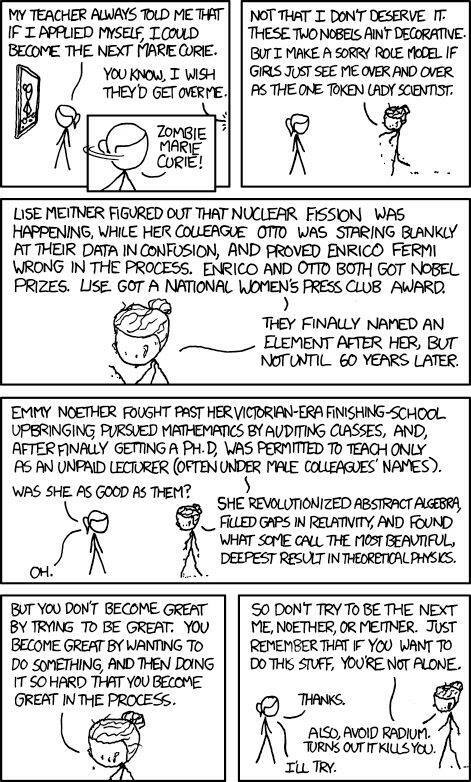 Two generations of female Nobel Prize winners, which doesn't happen often. About.com has a short bio and a list of Curie links. 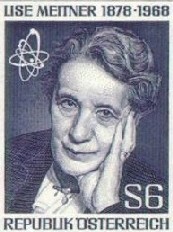 Nuclear physicist, discovered nuclear fission, did all of the things Zombie Marie Curie said. Fled to Sweden ahead of the Nazis. Realized fission could be used to make atomic bombs, and that the Nazis were close to figuring that out. Got word of this threat to the US government via Albert Einstein. A pacifist, she refused offers to go to America to work on the Manhattan Project. This little blurb about her does not pay proper tribute to Dr. Meitner or to her accomplishments. Check the link for more. Her bio is fascinating. Mineral Matters from the San Diego Natural History Museum. Covers mineral properties, how to identify minerals, how to build a mineral collection, more. Molecularium We're showing off the Kids portion of the larger site, the Molecularium Project. This site teaches about molecules. We really like the Nanolab (the big green button in the upper right corner.) 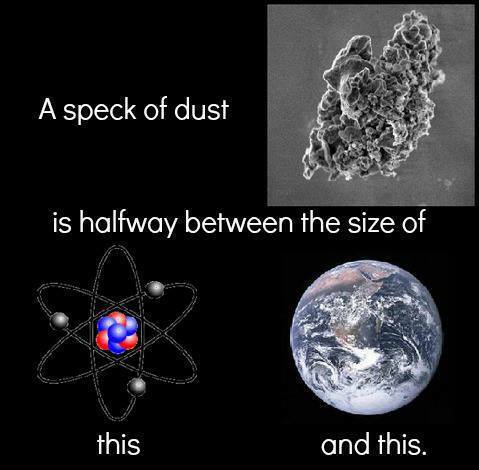 The Zoom in from space to the atomic level will grab kids' interest. Build lets kids assemble ever more complex molecules from Carbon, Oxygen, and Hydrogen. Transform shows what happens when heat changes solid to liquid to gas. Thanks to Rensselaer Polytechnic Institute and the NSF for this site. Newton's Laws from The Physics Classroom For high school physics students and up (ages 15 and up). This is one part of a huge physics instructional site. There are quite a few pages and animations for each of the three laws. You navigate the site by clicking on the two horizontal guide bars near the top. The site gives students tutorials on the background principles, and is designed to explain it all in depth. Newton's Three Laws of Motion from Physics4Kids For (probably) ages 10 and up. All on one page. Simply written, with explanations for the "fancy" words. Oceanography from the Office of Naval Research, USN. Ocean in Motion covers characteristics of currents, tides, waves, and the Beaufort Wind Scale. Ocean Regions covers littoral, blue water, and the ocean floor, while Ocean Water looks at the properties of sea water (in depth :p) All the subsection topics have quizzes at the end, too! Then there's a short section on famous research vessels. Oil Refineries from Moorland School is getting its own page because kids need to know how we get gasoline (petrol), oil, asphalt, diesel, etc. Good easy explanation with a good diagram. Oklo, the Two Billion Year Old Nuclear Reactor In a uranium mine at Oklo, Gabon is "a uranium deposit in Africa where, eons ago, a unique set of conditions came together to form the world’s only known natural nuclear reactor." This reactor stopped running about 2 billion years ago. The narrator describes the reaction process in simple terms. Ology from the American Museum of Natural History. We love this site! It covers "Ologies" such as Archaeology, Astronomy, Biodiversity, Earth, Einstein, Genetics, Marine Biology, Paleontology, and Water. The bottom half of the page has links to around 20 activities, experiments, and interviews. Then there's the Highlights section, Ask a Scientist, an Advanced section, and At the Museum. Click on the blue buttons in the At the Museum box. Only part of this great site is shown at a time. Be sure to use the Search box and enter a term like "horse" to find a ton of other information. 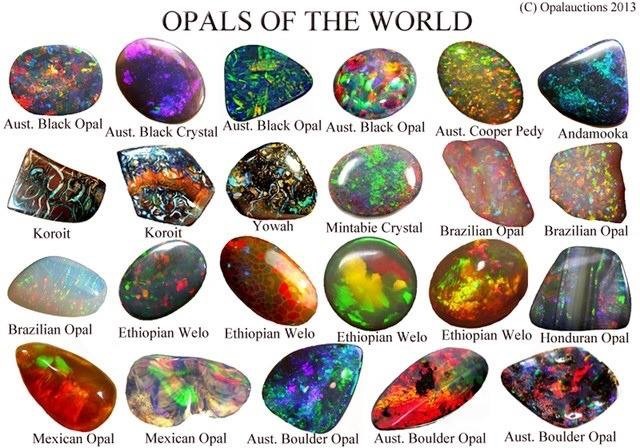 This photo links to a good article about opals! Particle Adventure - The Fundamentals of Matter and Force. "An award-winning interactive tour of quarks, neutrinos, antimatter, extra dimensions, dark matter, accelerators, and particle detectors from the Particle Data Group of Lawrence Berkeley National Laboratory." Secondary school level site explains the Standard Model of fundamental particles and forces in a progressive modular layout with easy to understand graphics. Also includes information on particle accelerators and detectors, and the Large Hadron Collider. Excellent aid to understanding. Periodic Table Sites have their own page now! Physical Constants for Fire Investigators. This a forensics site from Australia. It's valuable to teachers and students who need to know: flame colors, melting points and ignition temperatures of different plastics, metals (melting points), liquids (boiling points, flash points, ignition temperature, and heat of combustion in kcals/gram), gases (flammable limits, ignition temperature). Special sections for steel, concrete, glass, and house insulation. Good for physics and chemistry, among other things. BTW all temps are in Celsius. 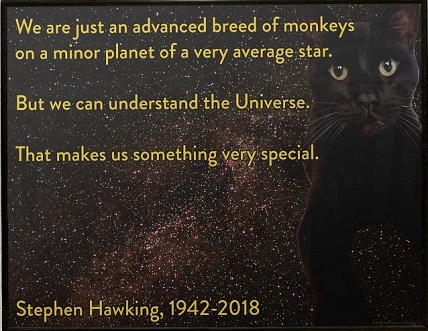 Physics from Windows to the Universe. 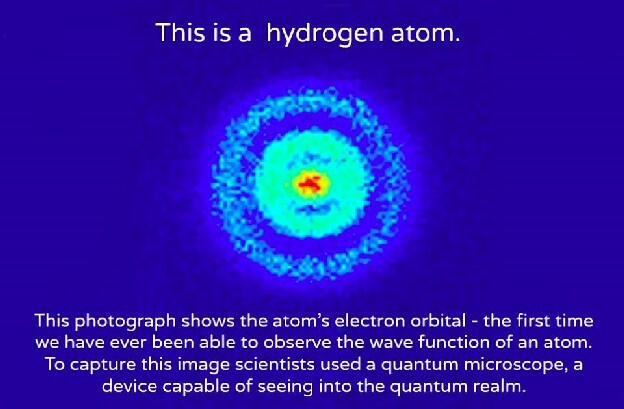 "Physics is the study of basic properties, materials, and forces in our Universe. Our new physics section will start off with some background material about space, time, and matter. It will also include sections on mechanics, electricity and magnetism, thermal physics, atomic physics and particle physics, and tools for math and science (vectors, coordinate systems, units of measurement, etc.)." Has Beginner, Intermediate and Advanced levels so it's three sites in one. Lots of information, well presented. Physics 4 Kids! offers good basic information on physics principles. Well organized and well worth checking out. Reasonable Temperature from Turtle Dairy. This game broadens student horizons by comparing equivalent temperature on three different scales: Celsius, Fahrenheit, and Kelvin. "In this game, kids will be given various pictures along with a thermometer. They will have to estimate the temperature of the objects in the pictures. To check their estimation, they click and drop the pictures against the temperature given on the thermometer. This game will improve their practical knowledge on this subject. The more they will play, the clearer their understanding will be about the concept." 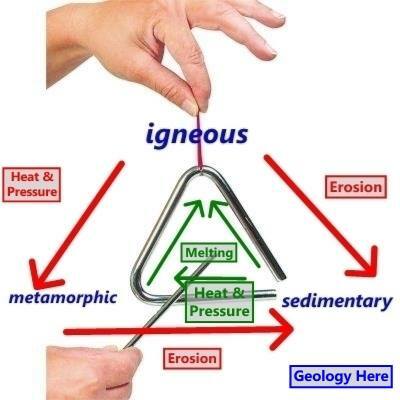 Rock Cycle is a full screen pdf graphic from the Utah Geologic Survey. (check out the whole site or buy posters at this link) Utah has a LOT of geology to be proud of. This pdf graphic of the rock cycle is simplified for kids, but it shows all the important data. Nice graphic! The verbiage below may be too much for some readers, but it's accurate. The picture is worth 1,000 words. 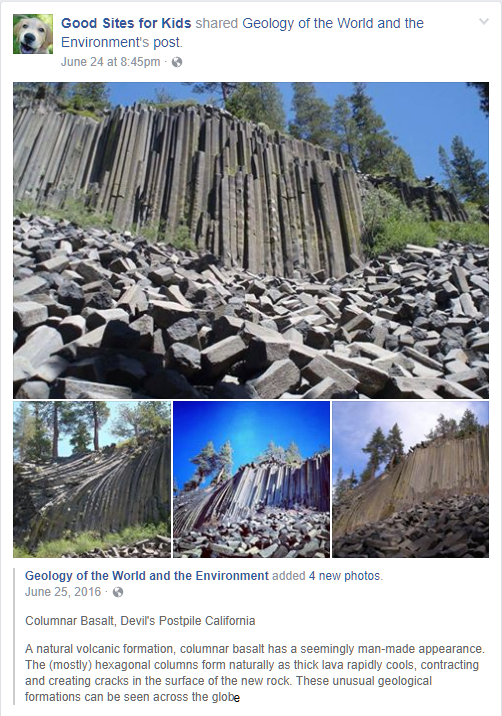 This article is from the FB page of Geology Here. Looking at the rock cycle in this way helps you to realize that the cycle doesn’t necessarily move around in a nice circle. or a metamorphic rock, depending on the forces that act upon it. that float and slowly move around on top of the mantle. These plates move due to convection currents in the earth’s mantle. Places where the magma is cooling and begins to descend toward the earth’s core bring continental crust down with them. southeast of Japan, near Guam. This trench is the deepest part of the ocean, reaching almost seven miles below sea level. It is formed by the collision of two oceanic plates; the less dense Pacific Plate is subducted under the more dense Philippine Plate. toward the surface and cool as igneous rocks. 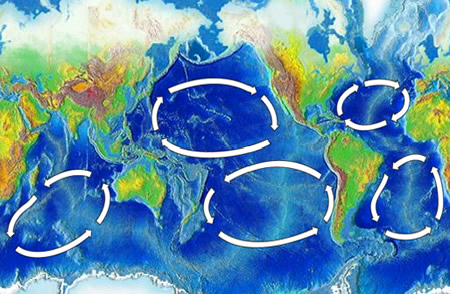 Plate tectonics helps to recycle earth’s rocks and to create new ones. Rocks for Kids An introduction to rocks and minerals for elementary and middle school levels. Rosalind Franklin: DNA's unsung hero, by Cláudio L. Guerra. From TED-Ed Original Lessons. "The discovery of the structure of DNA was one of the most important scientific achievements in human history. The now-famous double helix is almost synonymous with Watson and Crick, two of the scientists who won the Nobel prize for figuring it out. 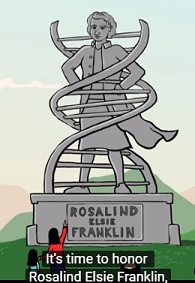 But there’s another name you may not know: Rosalind Franklin. Cláudio L. Guerra shares the true story of the woman behind the helix." She did the work and they got the credit (you know, sexism). In this case, outright theft was involved. "Somebody" stole Dr. Franklin's work and used it to figure out the double helix. Savage Earth from PBS covers Earth's crust, volcanoes, earthquakes, and tsunamis. 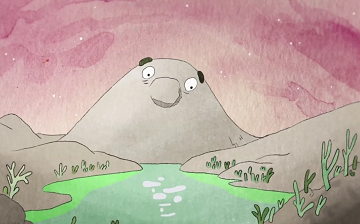 Good writing with plenty of Flash animation. 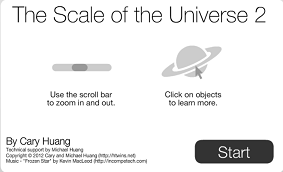 The Scale of the Universe 2 From PolicyMic: "Most of us have trouble visualizing the height of buildings, or the distance it takes to get home from work, let alone things on an intergalactic scale. The interactive graphic made by 14-year-old Cary Huang may be the best tool to help us understand our place in our vast universe. The interactive piece allows the viewer to zoom through scale and space, from quarks to galactic clusters. The real genius of the interface is the ability to scroll back to a familiar object like a car — the time spent scrolling helps to convey a sense of size and distance." You can find out more about objects displayed by clicking on them. You can find out more about the Huang brothers here. Science for Kids from Kidepedia Covers Physics, Chemistry, and Geology. The site does a decent job of explaining. Science Kids Fun - Science and Technology for Kids! This immense site has dozens of videos, hundreds of facts, 30 sections of science topics, elementary school experiments, lesson ideas, lesson plans, games, quizzes, projects, and a huge picture library! From New Zealand, which has a lot of "good sites." Science: It's A Girl Thing | Facebook "Welcome to the official Facebook Page of Science: It's A Girl Thing. Get exclusive content and interact with Science: It's A Girl Thing right from Facebook....We currently have 10 downloadable pdfs of activities, templates for keeping a science notebook, and a downloadable sheet of tips for parents for doing short science activities around the house. We also have an active community of nearly 3,000 users." Science News for Kids is for ages 10 and up because of its writing. Very interesting and NOT dumbed-down sections on: Atoms and Forces, Earth and Sky, Humans and Health, Life, Tech and Math, and Extra. Factual articles cover subjects in depth (examples: electronic Skin, Cars of the Future, Caecilians - the other amphibian, Anesthesia MRIs, the Little Ice Age, Seabird Math, No Frostbite for Dogs, Life Beyond Earth. Plenty of graphics to grab interest. 2:25 YouTube video shows what they're looking for and how they plan to do it. Seafloor Spreading with Bill Nye. "A video clip featuring the discovery of seafloor spreading and its contribution to the development of the Plate Tectonics Theory. Hosted by Bill Nye." How a geologist named Harry Hess discovered the seafloor was spreading and led to the theory of plate tectonics! 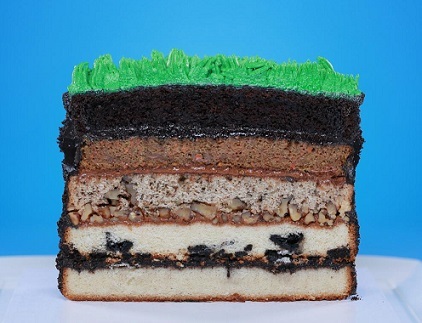 This Sediment Layer Earth Cake is educational & yummy! One for each sediment layer. became a true mess, even as in this outcrop, looking as if they're in knots. Should a person touch 200,000 volts? "What happens if a person touches 200,000 volts? Fact Monster's Solstice for Kids Explains the solstice concept, the changing angle of the earth, and solstice history and traditions. 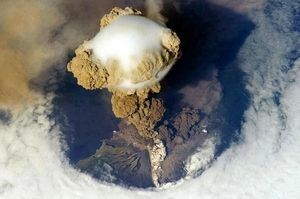 The 2009 eruption of the Sarychev volcano, as seen from space. See Sarychev's location on Google Earth. States of Matter "Adjust temperature and pressure, and watch as gases become liquids, liquids harden into solids, and more." Balloons and Static Electricity Another interactive science simulationfrom PhET. "Why does a balloon stick to your sweater? Rub a balloon on a sweater, then let go of the balloon and it flies over and sticks to the sweater. View the charges in the sweater, balloons, and the wall." 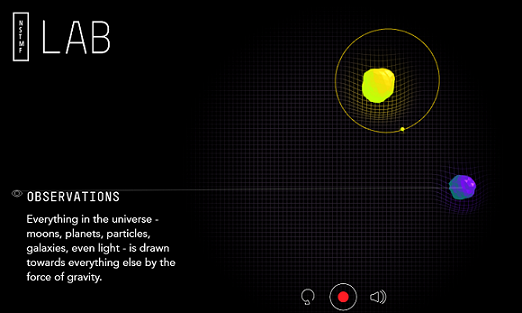 Strange Matter uses Flash animations to explore Materials Science. "Experience the structure of materials in Zoom. Encounter the properties of various materials in Materials Smackdown. Enjoy processing materials to create something new in The Transformer. Explore the performance of various materials in The Change the World Challenge." Includes Stuff For Teachers and Stuff For Families. String Wave Simulation A Flash file from the Physics Dep't, University of Colorado. Play with the oscillations and learn about wave amplitude, frequency, and more! Fun for all, most educational for Middle School and up. Teach Ocean Science Amazing, stupendous, colossal. This site features teacher resources (lesson plans) in three sections. concepts into your science classroom using this database of scientist and teacher-approved lesson plans." (2) Using the ocean to teach STEM has five interdisciplinary STEM activities ready to go as pdf files. (3) Modules - ten modules and a glossary covering various animal, vegetable, and mineral aspects of the sea. interactive modules compiled by teams of scientists, teachers, and students." south along the ocean floor. After it flows around the world, it picks up heat, rises and then flows back north. This video explains it very simply and in 3D! NASA/Goddard Space Flight Center Scientific Visualization Studio The Blue Marble Next Generation data is courtesy of Reto Stockli (NASA/GSFC) and NASA's Earth Observatory. The Blue Marble data is courtesy of Reto Stockli (NASA/GSFC). They used Science (COMIC) from ScienceDump "This is a comic drawn by ZenPencils. The quote is from Phil Plait taken from a talk he gave at a student science fair. Apparently, the night before the speech Phil didn’t know what he was going to say, until he saw a news story, full of the normal psuedo-science stuff they so often are. He then wrote this speech. One thing is for certain, the speech (and the comic) will help reinvigorate your love of science." It's huge! Therefore you will need to click on the link to actually see its awesomeness. "(This) illustration covers a huge swath of time from the last Ice Age in 20,000 BCE to current day and beyond... The drawings and captions depict significant earthly milestones, from humanity's spread across the continents to the extinction of the saber tooth tiger. A number of historical figures also make appearances, such as Gilgamesh, Buddha, Shakespeare, and even the last North American Pokémon ("that is not a real fact"). All the while, the temperature accelerates from cool-blue on the left side to red-hot, record-breaking heat on the right." Quotes are from EcoWatch. This graphic is 740 pixels wide by 14,957 pixels long! Utah's Dinosaur Record from the Utah Geologic Survey. (check out the whole site or buy posters at this link) Utah has a LOT of dinosaurs to be proud of. 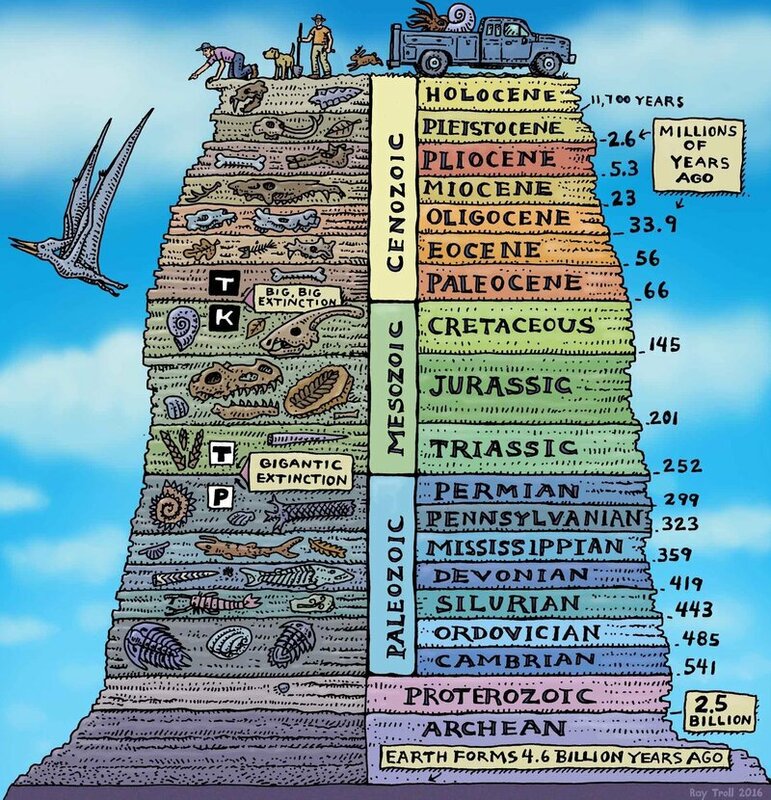 This pdf graphic of Utah's dinosaur history shows the eras/ages that make up the Mesozoic Era, and aligns them with local formations. From the Upper ("late") Triassic to the end of the Cretaceous, all known Utah dinos and their artifacts are listed by their place in time. Great for education, since it gives a sense of scale as to how long the dinosaurs were around! * This is an excellent graphic! *You could take elementary kids out on a football field and have them step it off, too. Vesuvius - Pliny the Younger's letter to the historian Tacitus about the eruption and the death of his uncle, Pliny the Elder; and a second letter about his own escape, and what it looked and felt like to be in the volcanic cloud. Pliny the Elder was a senior naval officer who led a squadron of ships to rescue the people of Pompeii. Amazing nearly 2,000 year old letters, great Primary Source for history. Probably best for 5th grade and up, or a literate 4th grader. The Virtual Microscope from University of Illinois. Oh you've got to get this for kids! Amazing closeups! Plug in a digital projector and show these on the wall! "The Virtual Microscope is a NASA-funded project that provides simulated scientific instrumentation for students and researchers worldwide as part of NASA's Virtual Laboratory initiative. This site serves as home base for the Imaging Technology Group's contributions to that project—namely virtual microscopes and the multi-dimensional, high-resolution image datasets they view. Currently we provide 90 samples totaling over 62 gigapixels of image data. The Virtual Microscope, which is available for free download supports functionality from electron, light, and scanning probe microscopes, datasets for these instruments, training materials to learn more about microscopy, and other related tools. The project is open source and the code is available on Sourceforge." More info at the site. Note: This program requires Java. Volcano Online game from Natural History Museum. 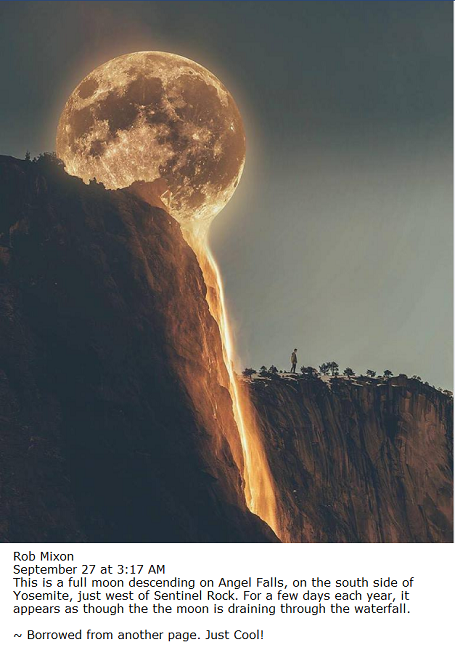 "Build a volcano, let it erupt, then build another." Volcano World is a great, kid friendly site. Kid's volcano art, games, virtual field trips, stories, and more serious things like Current Activity. Thanks, Oregon State University. 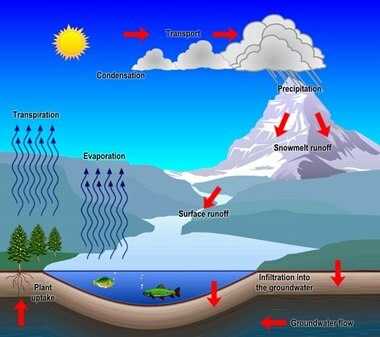 The Water Cycle in an easy to understand graphic! Water Cycle .pdf printable booklet for kids. 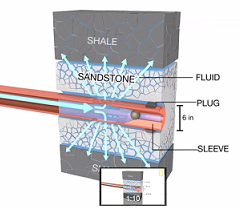 actual well to explain fracking. Watch and learn. What's the big deal with carbon? From NASA's Climate Kids. What Makes Jam Set? – The Chemistry of Jam-Making You too can teach practical kitchen chemistry by making delicious jam! 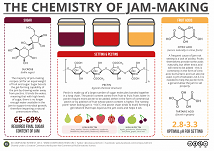 The free downloadable and printable graphic in this article takes a look at the science behind jam-making, and how jam sets. What on Earth is Plate Tectonics? from the US Geological Survey (USGS). This unassuming site is in reality the jumping off point for everything you might ever need to know about the subject. There's a beginner's introduction that explains all the terms, followed by a link to This Dynamic Earth: The Story of Plate Tectonics - an online book that burrows (so to speak) into the subject. There are side links to explain topics for you, and plenty of amazing graphics, maps, pdf files, and a cool sub-site, Plate tectonics animations, with all sorts of animated graphics! World Geography Games "Welcome! Can you point out Sudan on the map? How about the Strait of Hormuz? This website will bring you many entertaining and stimulating map games to improve your geographical knowledge. The quizzes include questions about countries, regions, bodies of water, mountains, deserts, metropolitan areas and other topics that will test and challenge your brain. For everyone who wants to explore and learn about the world, you've come to the right place!" Twenty-two very colorful, very accurate, interactive modules. These are all either "click on" _____ or "drag the correct label to" _____ exercises, perfect to learn geographic facts. Modules are forgiving and will help students learn. Available in English, Dutch, German, French, and Spanish. PS: There's a similar game of Europe-only facts, too - Geography Games Europe. GSFK wants to thank Sonja Snoek and her company, EastDock Media, in Amsterdam, Netherlands.